Through extensive research, Physio Radiance is distinguished by its unique formulation -- an exclusive combination of ingredients to activate your skin cells to work naturally at their best, assisting in restoring your skin’s youthfulness and radiance. To prevent this contact between water and negative hydrogen, Physio Radiance uses a patented microencapsulation technology that protects the negative hydrogen in small hydrophobic balls. When the pump mechanism – specifically researched for Physio Radiance products –is pressed, these hydrophobic balls are crushed, thus releasing the negative hydrogen at the last moment right before application to the skin. As such, the negative hydrogen is utilised without degradation. The airless bottle also protects the product from temperature, oxidation, light and contamination, such as from bacteria, viruses, and fungi. Our ultimate anti-aging skin care product, Physio Radiance, came out with a new enhanced formula for Anti-Oxidant Serum and Radiance Enhancer Day & Night Fluid which gives your skin a more radiant, healthy glow! This new powerful formula is exclusively packed with the same anti-aging active ingredients and properties but with additional special and unique formulation. What’s more, the new formula also utilises enhanced water energised from our revolutionary harmonised Amezcua Energy Shell. A double-blind study was conducted by The Institute of Electrophotonic Berlin to evaluate the efficacy of Physio Radiance’s new formula. The test was carried out with ten healthy people of different ages and gender by using the EPC Camera – a scientific device used as a method to analyse and measure energy fields of the human body. After an initial measuring, each participant was measured 30 minutes and 60 minutes after applying the new formula on the forehand. The results show that the new formula for Physio Radiance has positive energy regulating and harmonising the body. 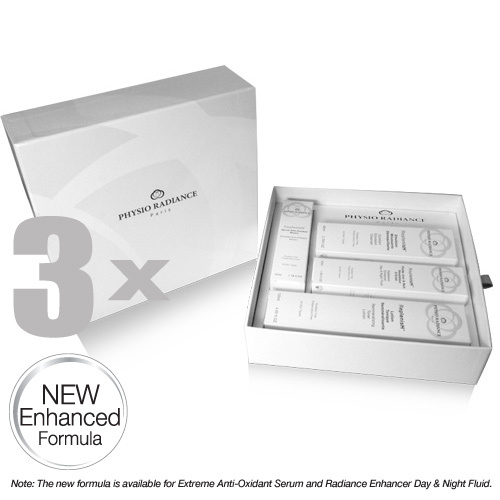 What is so impressive about the new formula is that the texture of the products is much lighter. This results in a faster absorption and deeper penetration into the skin, leaving your skin even more hydrated throughout the day. 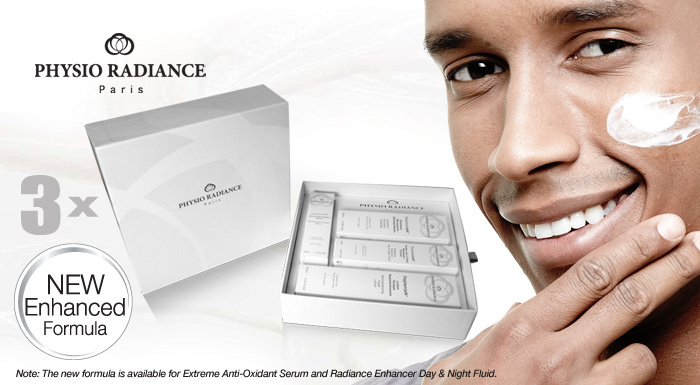 This makes the new and enhanced Physio Radiance a highly effective skin care for you. These ingredients are part of a list of potentially dangerous chemicals that can be found in most skin care products. These chemicals can cause toxic and allergic reactions such as skin rashes, headaches, dizziness, and/or respiratory problems. In addition, parabens are widely used as preservatives in over 13,200 skin care products. There have been numerous studies that have identified the connection between parabens and cancer. A number of hypoallergenic skin care products are available in the market. Regulations list 26 official allergens4 that all hypoallergenic products sold in the market must not possess, in order to qualify as being hypoallergenic. However, the hypoallergenic quality of Physio Radiance goes above and beyond this standard list, as it blacklists more than 80 harmful ingredients that are known to be allergens or toxic! When formulating Physio Radiance, our aim was to develop an evolving list of ingredients that are restricted from use in our products, to ensure the health and well-being of all our customers, no matter their sensitivities.